Ever wonder what might happen if a god went missing? 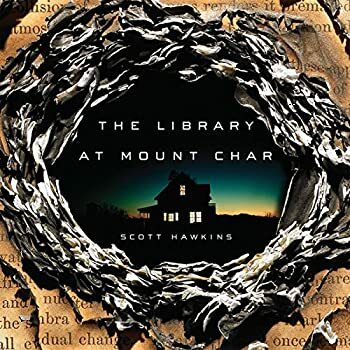 The Library at Mount Char is Scott Hawkins’ fiction debut, and in my personal opinion, it is flawless. There are no wasted words, no unnecessary plot digressions, no moments in which a character says, “Wow, this crisis is important! We should respond right away!” and then tootles off to fold laundry for ten paragraphs. Each detail is crucial, even if the reader doesn’t realize it for a hundred pages or more, and the resulting novel feels enormous and expansive though the page count doesn’t hit 400. Garrison Oaks was a lovely little slice of Virginian 1970s suburbia, where Adam Black roasted meats in an enormous metal bull and shared beer with his neighbors. Things changed, though, in one cataclysmic afternoon. Black revealed himself to be something far more than human and took twelve local children into the Library, forged them into the Pelapi, and erased knowledge of that day from the reality known to the rest of the world. The Library itself is… well, it’s difficult to explain. In many ways, it seems to be a physical manifestation of the sum total of human knowledge and experience. Naturally, any building meant to house that amount of information would be both enormous and immeasurably valuable; as a precautionary measure, Father set the Library outside the universe inhabited by regular humans. The Library is accessed through a gateway in the seemingly normal house Father uses as camouflage. Garrison Oaks is additionally protected in such a way that anyone who doesn’t need to be there simply passes by, as though the town doesn’t exist, and outsiders very rarely arrive. Trespassers are dealt with via a large pack of dogs or the townspeople, who are pitiful and fear-inducing shadows of their former selves. For twenty-five years, Carolyn and the other children adopted by Father have lived in the Library, learning from the color-coded catalogues assigned solely to them. (For a helpful list of the catalogues as they were assigned and as they currently exist, see this page on Hawkins’ blog.) Learning outside one’s catalogue is forbidden. Disobeying Father’s wishes is forbidden. Father is very good at determining effective punishment for infractions — just ask Michael, whom Father blinded in both eyes for not completing a given task. Michael’s eyes slowly regenerated, he was sent back to do the job, and he failed, so Father blinded him again. This happened eleven times, until Michael found a way, and Father was pleased. Michael was still only a child when this happened, in case you’re wondering. Now, though, Father is gone. Anyone who approaches the grounds surrounding the Library suffers mysterious physical damage, to the point of death, if the person in question gets too close. Carolyn and her fellow Pelapi have taken refuge in the home of an elderly woman who believes them to be foreign exchange students. They can’t stay forever, of course, and they all want to go home, but none of them know how or why any of this is happening. Rather, none of them save for Carolyn know what is happening. What Carolyn knows is vastly different from what Carolyn chooses to share with either the Pelapi or the “regular Americans” who become involved in her plans. What has been set in motion by Father’s disappearance may well mean the end of life as we know it, including the appearance of Lovecraftian horrors and the literal death of the sun. Obviously, the stakes in The Library at Mount Char are quite high. Carolyn’s catalogue is Languages, and thanks to the strange temporal properties of the Library, she has learned all of them ever spoken or written by humans, along with many other creatures. (I must admit equal measures of admiration and envy: my collection of languages feels quite paltry in comparison!) In secret, she has also been learning outside her catalogue, for various reasons and to various purposes. The other Pelapi include David, whose catalogue is War; Margaret, who travels to the land of the dead; Michael, who speaks with animals; and Jennifer, whose catalogue is Medicine. In becoming Pelapi, they’ve all become divorced from reality and humanity in terrifying and inventive ways. Some of the regular Americans who are caught up in this maelstrom are Steve, a Buddhist burglar-turned-plumber who just wants to keep his head down and look after his dog Petey, and Erwin, currently with Homeland Security (but formerly a highly-decorated military hero, and before that, a pro athlete). Both men have key parts to play, but must remain completely unaware of their roles in order for decades of planning to come to fruition. There are also two lions, Dresden and his cub, Nagasaki, who are as well-written and necessary as their human counterparts. One of the most appealing aspects of The Library at Mount Char is the element of surprise — not just for the reader, but the characters as well, so the less said in this review about the plot, the better. I will say, though, that Hawkins’ manipulation of reality and how characters experience it can sometimes bleed into the reader’s experience. For example: At one point in the novel, Carolyn encounters a boy who is watching the 1980s Transformers cartoon in his home. While I was reading that scene, my television was on a channel which happened to be showing a rerun of that exact show, and a chill ran up my spine. Immediately, I wondered if I’d read that scene an hour earlier, would the boy have been watching G. I. Joe? You may laugh, of course — and I’m laughing at myself as I write this, with the luxury of afternoon sunlight mocking my 4 a.m. fears — but there’s a very quiet voice in the back of my head which still wonders. When reality and fiction line up in an impossible way, particularly when said fiction involves highly unstable and unreliable realities or narrators, it’s a little scary. Though over a week has passed since I finished reading The Library at Mount Char, its characters and concepts linger in the back of my mind. Hawkins has crafted an intricately layered, tightly-constructed work which almost demands re-reading in order to parse out the many recursive details hiding within plot points and dialogue. It is easily one of the best books I’ve read so far this year. Highly recommended. I loved The Library at Mount Char, especially the way it challenges our understanding of our reality in such a believable fashion. This author was courageous in making almost none of his characters likable, yet still managing to make them all different from one another and interesting to boot; there are no one-dimensional villains here. I was startled that the book continued long after I thought the plot had played out, and was surprised again when it became obvious that the extra wordage was essential to understanding the book and fulfilling the plot. The bottom line is that this book really is new and different, turning old tropes inside out and making of them something uniquely strange. Read it! This was mind-blowing read that had me on the edge of my seat from the very first page. I loved the intensity, the vivid characters, and the contemplations about the nature of reality. The story sometimes curled my stomach, though, and there were times when I groaned or nearly gagged while reading it. I’d put The Library of Mount Char in the horror section, but I loved the way it made me think. Hillary Huber narrates the audio version produced by HighBridge Audio (a division of Recorded Books). She was amazing! I loved her voices and performance choices for all of the characters and her treatment of the tone was spot-on. I definitely recommend this version. So far, Scott Hawkins’s The Library at Mount Char may be the best fantasy book of the year. Against the backdrop of a town that looks like Anywhere, USA — at least ’til you get up close — Hawkins unleashes an original premise and a wild story about reality, realities, gods and humanity. Caroline, like each of her foster siblings, all raised by Father in the library, has a catalogue to study. Hers is languages — all languages (not just human). Her brother David studies War and a sister studies healing. The stern, cruel taskmaster Father has one rule; you never study another person’s catalogue. Clearly, Father is not exactly human… but now he’s gone, the library is closed to Caroline and her siblings, and Father’s rivals are on their way. Controlling the library means, simply, controlling this reality. Despite the fact that the action is practically non-stop, the story is rich, filled with descriptions and conceits that stayed with me days and even weeks later; the relationship with the lions, for instance, or the description of the library… or the object Caroline used as the key to the library, and the meaning it held for her. This multi-layered read is brilliant. 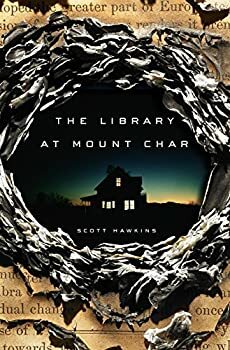 The Library at Mount Char has gotten heaps of praise for from a vast number readers and reviewers, and the plot has been discussed in detail by many already (too much, in some cases). This is exactly the type of book where the enjoyment comes from the careful reveals that make you think back to earlier, seemingly-innocuous details. So when I see so much praise for a SFF book (or movie, for that matter), the first thing I do is try to avoid finding out anything else about the book and try to read it without any spoilers sneaking past my defenses. It’s a lot like when I record the Super Bowl here in Japan on Monday morning and try to get through the whole day without looking at social media to find out the score so I can watch that evening without knowing the result. I was able to do this with The Library at Mount Char, and I’m glad I pulled it off. All I knew was that it was about some powerful beings, a library of mysterious knowledge, a sinister character named Father who was in charge, and a lot of creepy stuff that happens to them. Perfect! Because Scott Hawkins has thought through this book carefully and lays out his breadcrumbs very carefully, with great glee. You can imagine him smiling as he sets out scene after shocking scene, laced with blood, guts, and ironic humor. Because both the powerful super-humans and regular people caught up in the events are generally in the dark as all matter of lethal enemies come after them. I like it best when both readers and characters are kept in suspense; it makes for a much more enjoyable read. Ever read a story thinking, “How could that character be so thick-headed as to not realize who’s behind…?” Well, this book is structured as a series of flashbacks with the various powerful beings growing up with the frighteningly unpredictable Father and his bizarre love of his massive BBQ grill shaped like a bull. He is truly inscrutable, at times kindly and nurturing, then suddenly turning cruel and vindictive in the blink of an eye. As promised, I will reveal no further details of the story so you can enjoy it as I did, with an open mind (though some scenes may well may you cringe — it’s not for the faint of heart). I did repeatedly think to myself that the overarching storyline has many parallels with Neil Gaiman’s American Gods, but I was frankly unimpressed with that book despite all the awards and popularity. The Library at Mount Char is a much better book, both in pacing, characters, intensity, and mystery. In particular, the ending both ties things up elegantly but also prompts the reader to reinterpret the events of the story to the point where I’m sure some people will be eager to re-read it with foreknowledge of what will happen. It’s that kind of book. I have high expectations for Mr. Hawkins’ future work. Published on June 16, 2015. A missing God. A library with the secrets to the universe. A woman too busy to notice her heart slipping away. Carolyn’s not so different from the other people around her. She likes guacamole and cigarettes and steak. She knows how to use a phone. Clothes are a bit tricky, but everyone says nice things about her outfit with the Christmas sweater over the gold bicycle shorts. After all, she was a normal American herself once. That was a long time ago, of course. Before her parents died. Before she and the others were taken in by the man they called Father. In the years since then, Carolyn hasn’t had a chance to get out much. Instead, she and her adopted siblings have been raised according to Father’s ancient customs. They’ve studied the books in his Library and learned some of the secrets of his power. And sometimes, they’ve wondered if their cruel tutor might secretly be God. Now, Father is missing—perhaps even dead—and the Library that holds his secrets stands unguarded. And with it, control over all of creation. As Carolyn gathers the tools she needs for the battle to come, fierce competitors for this prize align against her, all of them with powers that far exceed her own. But Carolyn has accounted for this. And Carolyn has a plan. The only trouble is that in the war to make a new God, she’s forgotten to protect the things that make her human. Populated by an unforgettable cast of characters and propelled by a plot that will shock you again and again, The Library at Mount Char is at once horrifying and hilarious, mind-blowingly alien and heartbreakingly human, sweepingly visionary and nail-bitingly thrilling—and signals the arrival of a major new voice in fantasy. Terry, I’m so glad you liked this one! If you hadn’t been reading it concurrently with me, I definitely would have recommended it to you. I am now completely distracted by mental images of Stuart hiding from social media, so that the delayed SuperBowl is not spoiled. That takes some effort, Stuart. Marion, over the last 13 years I’ve tried all kinds of things – the funniest would be my first year, when I didn’t have cable TV so I took the morning off, went to the local electronics store and asked if I could sit in front of their biggest flat-screen TV for a couple hours to “test drive” it. The sales person looked skeptical, but it was totally empty in the morning anyway. In later years I’ve learned the hard way you should never tell anyone “Please don’t tell me the score of the Super Bowl since I recorded it, okay?”, since one knuckle-head immediately said, “Oh, you didn’t know the Patriots won? What a game!” Now I just take the morning off and look at no social media of any kind. It’s an art, really. You are a brilliant man, Stuart.